4.1 Does it fit your mailbox? During my continues search for gadgets at a reasonable price I stumbled upon a Multi Lens Set for smartphones. I found it in a store of discounter Action for € 3,99. Product dimension: 184 mm x 95 mm x 30 mm (h x l x d). 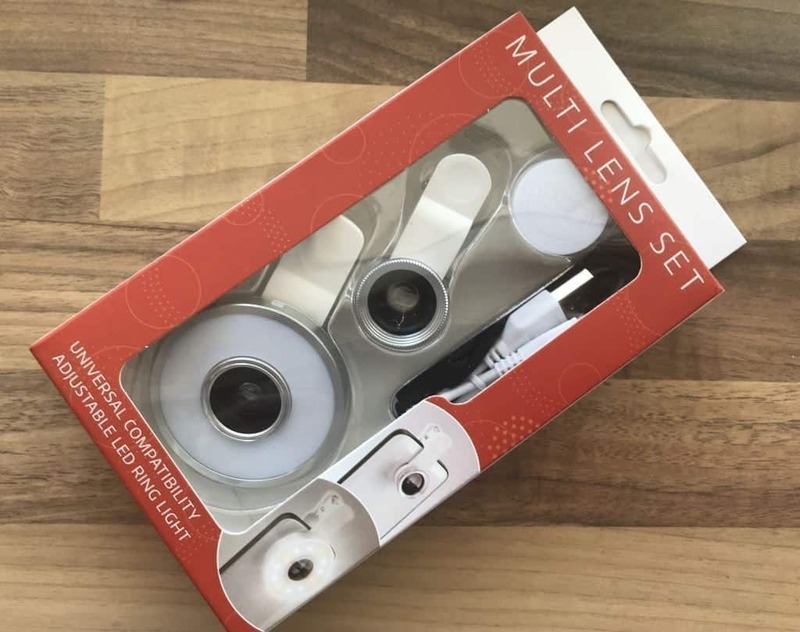 A couple of years before the first version of the multi lens set was released, it was priced about € 25-30 euros and it seemed to be more a gimmick than an actual useful smart phone accessory. During the recent years, smartphones got more and more powerful camera’s that even performed better than some of the compact camera’s. If the build quality is good enough, this set could be a big plus for modern smartphones. 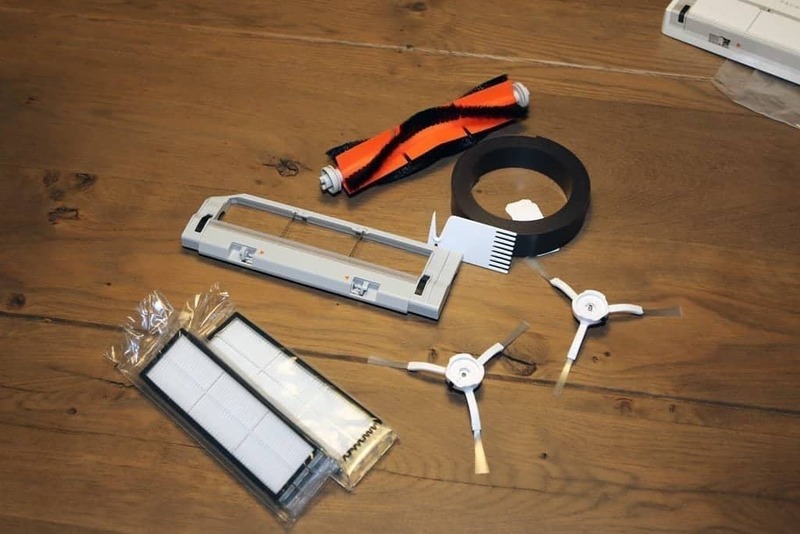 The product retails in a cardboard box which contains a blister with the separate accessories. Multi lens set with LED lighting for beautiful pictures. 10 x Macro, 0.66 x Wide Angle, 185 degree Fish Eye, LED ring light. The build quality and design are very well-thought-of. Starting with the lenses: they have an aluminum (like) case which protects the lens itself. The plastic lens cap protects the lens when it is screwed on one of the holders. 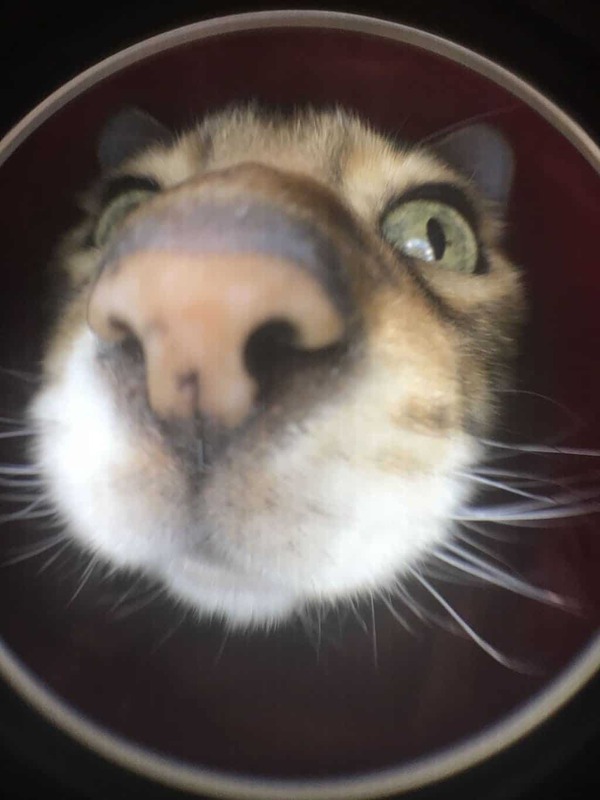 The fish eye lens contains a single element. 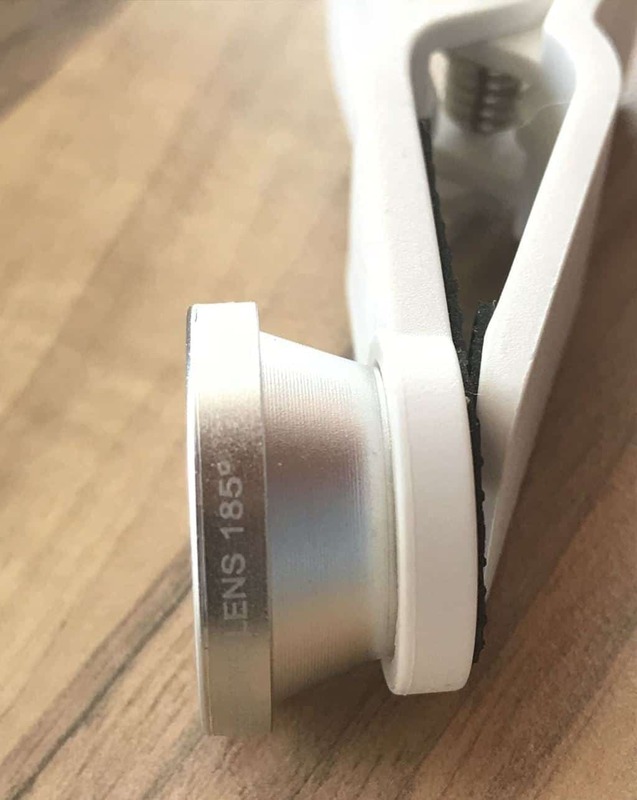 The other lens contains two elements, when you remove the top element, the wide-angle becomes a macro lens. 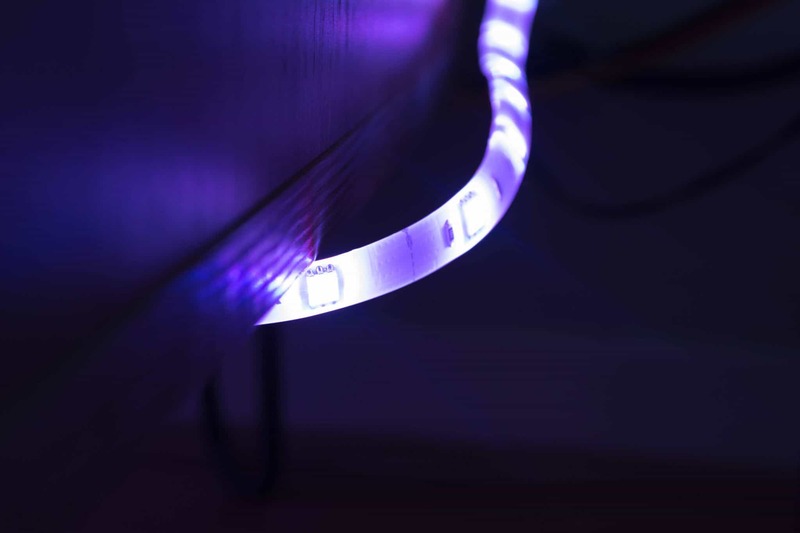 The set contains two universal holders, one for use with and one for without the LED ring light. They are made of plastic and contain rubber material to protect your phone when you attach the holder to it. 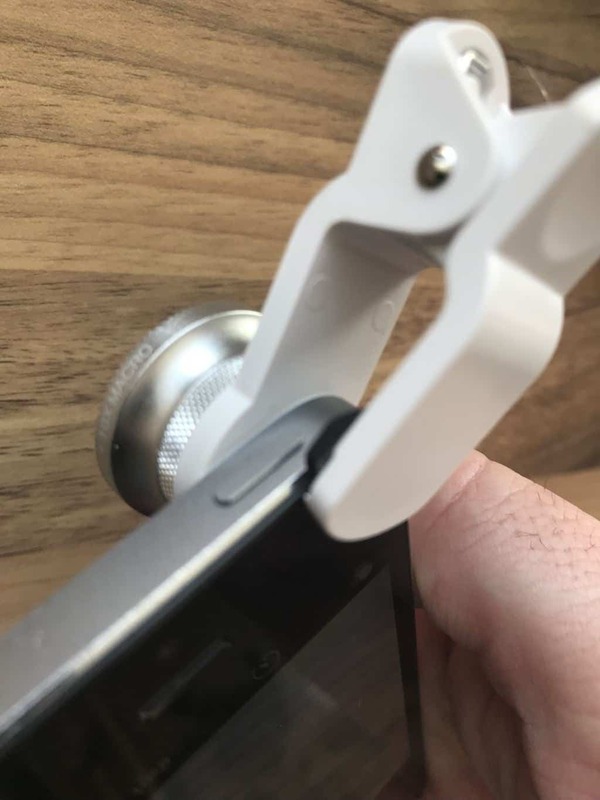 The grip of the holders on the phone is sufficient, that’s because of the grip of the clamp in combination with the rubber material. 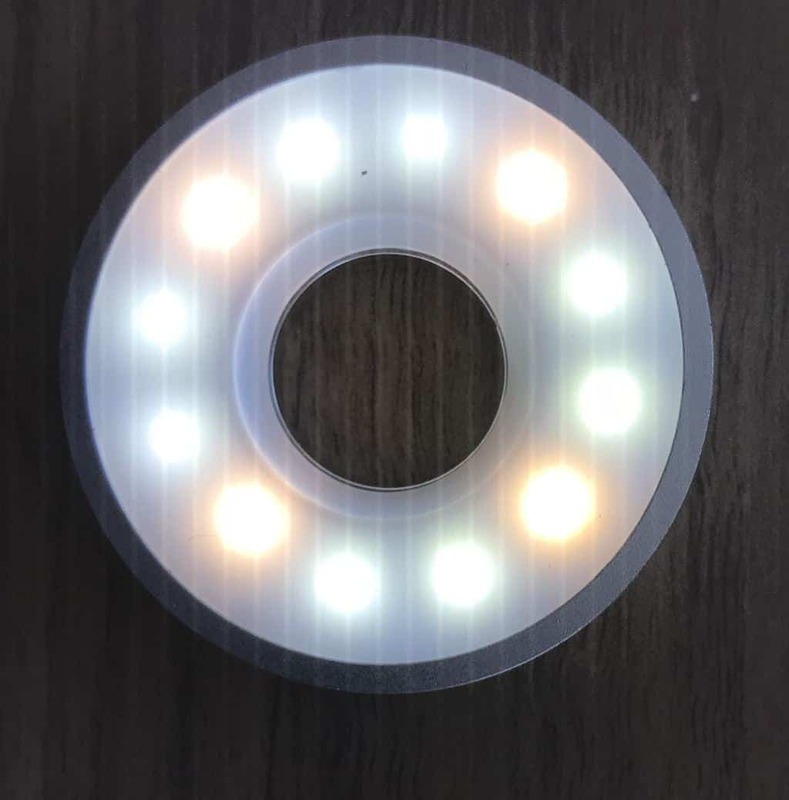 The LED light ring needs to be put between the lens and the big universal holder. By screwing the lens in the holder, the lens pushes the light ring in the holder. By pressing the button on the side you can toggle through the three brightness settings. 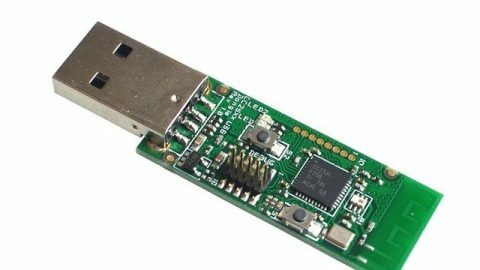 It has a built-in battery (capacity: unknown) and can be charged with the included micro USB cable. The set is shipped with a black carrying pouch. This is a way to keep all the parts together, but not the most optimized solution. It is a missed opportunity because when in the pouch, the parts are not totally protected. A more rugged carrying case would be a better option. Using the kit requires a bit of planning, because you have to take the set with you. Also attaching the lenses takes more time than just reaching for your smart phone and instantly taking a picture. The lenses will probably not fit well on smartphones with dual lens cameras (e.g. iPhone 7 Plus, iPhone X). These lenses stick out on the back and the round opening in the holder will not fit on the lenses. When the lenses are attached to your smart phone, the fun can begin. They enlarge the range of the camera of the smart phone. 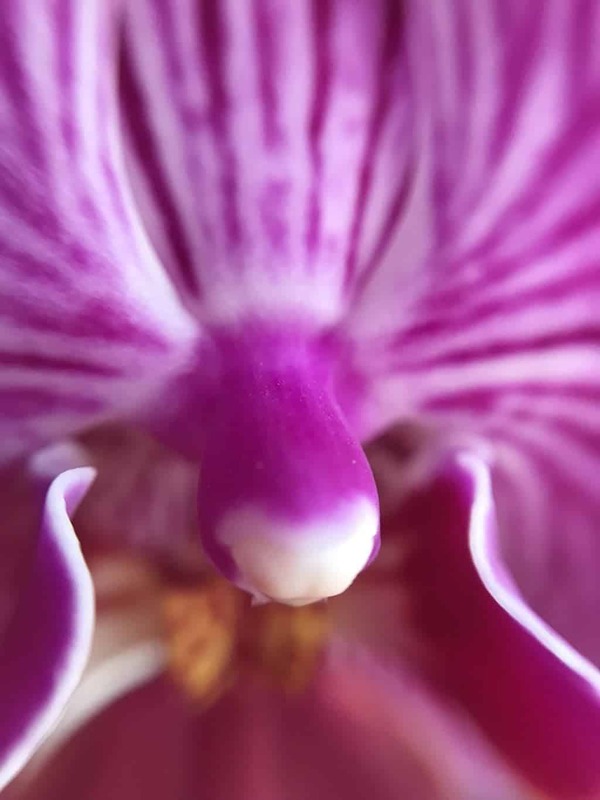 For example, most of the smartphones cannot standard take macro pictures, but by attaching the (10 x) macro lens they can. The depth of field is very shallow, but that’s not a bad thing for macro photos. The wide-angle lens (0.65 x) expands the viewing field of the camera and the fish-eye even extends this viewing area further to 185 degrees. Of course, all lenses cause their portion of distortion and vignetting in the pictures, but that’s in the nature of these lenses. The LED ring light does a good job to evenly light your subject. 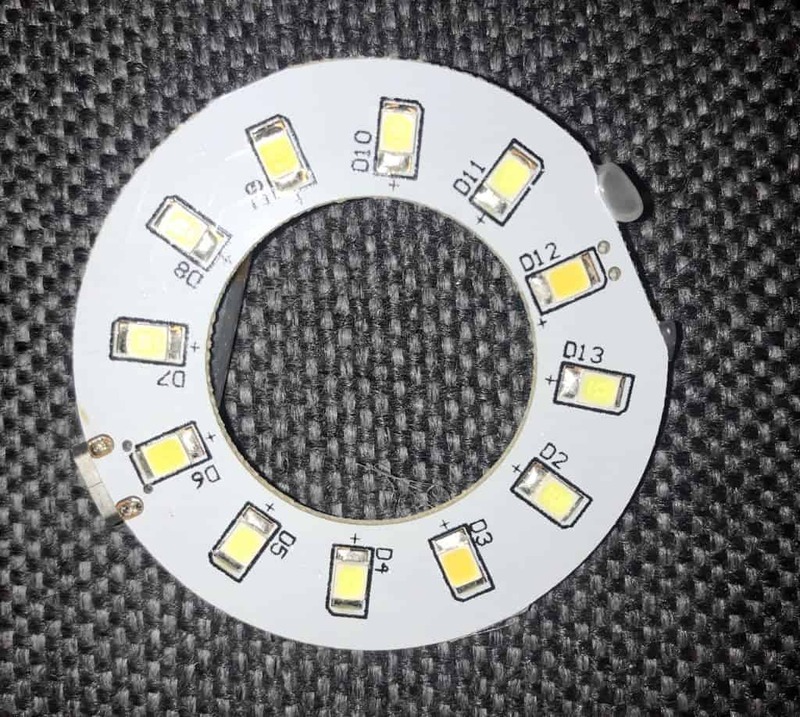 Its built-in battery lasts long enough for you to get the perfect picture and you can avoid overexposure by adjusting the brightness level of the LED. 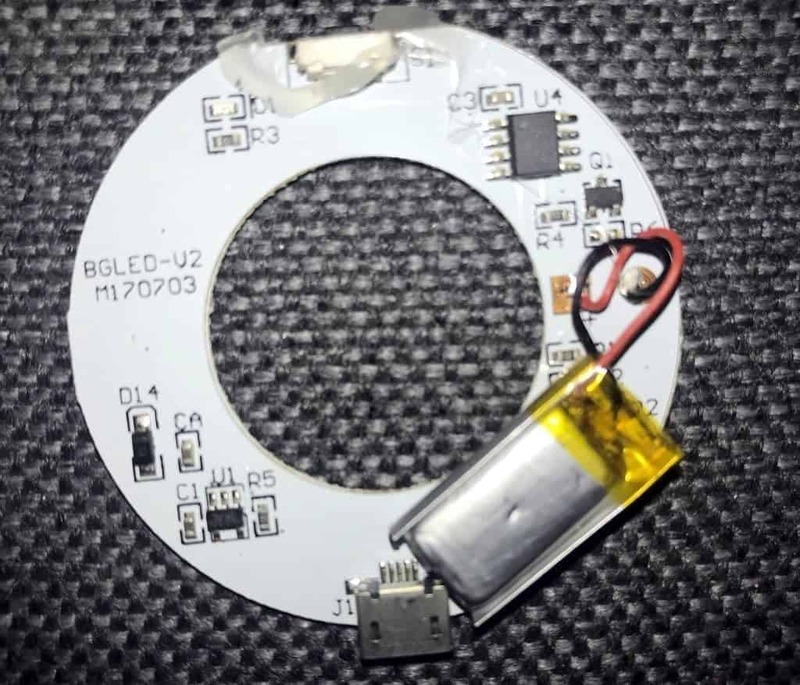 It’s a shame you cannot attach the LED ring to the holder without the lens, so you can just use your camera lens. The set that most looks like the reviewed set is the 6-in-1 LED Mobilephone Lens Kit (currently around 12 Euro). 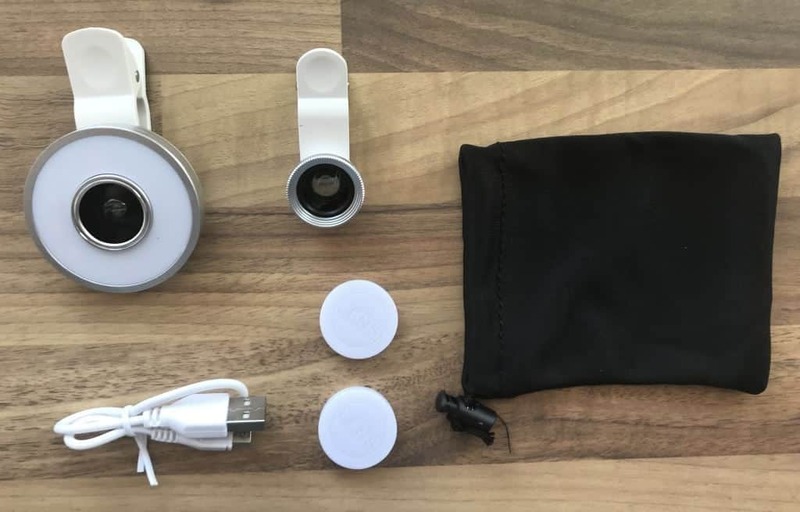 There are also slightly different sets like the APEXEL APL – HS12XDG3ZJ Cell Phone Camera Lens Kit, a set without the LED light ring, but with a phone stand and tele lens (around 17 Euro). Or the APEXEL APL-DG7 7 in 1 Cell Phone Camera Lens Kit, a set with more different lenses and with a nicer carrying case (around 15 euros). Although the sets are not as cheap as the one available at Action, they can be worth the money if you enjoy taking pictures with your smart phone. Easy way to extend the capabilities of your smart phone camera. Quality of the lenses and holders is good. Not suitable for smartphones with dual lens camera’s. The protection cover for the lenses is only on one side. The smaller side is still open. At € 3,99 this is an absolute bargain. 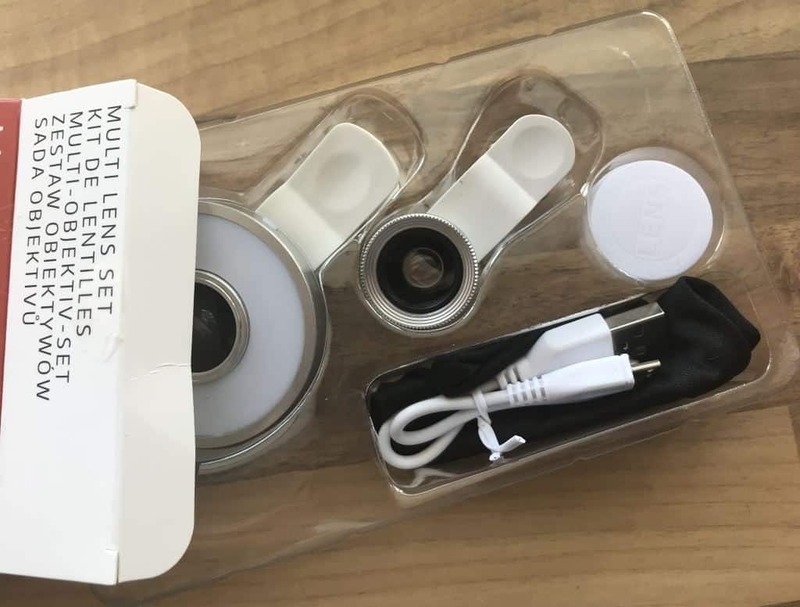 If you love to take pictures with your smart phone, the Multi Lens set is a great extension for your smart phone camera. The lenses offer features (fish-eye, wide, zoom) which cannot be achieved by post processing filters. The light ring is not bad, but I think you will leave it at home most of the times. The only disappointment is the carrying pouch. This is a bit unpractical. Please note that the lenses probably won’t fit if you have a smart phone with a dual lens cam. At Action stores or at Gearbest.